1. 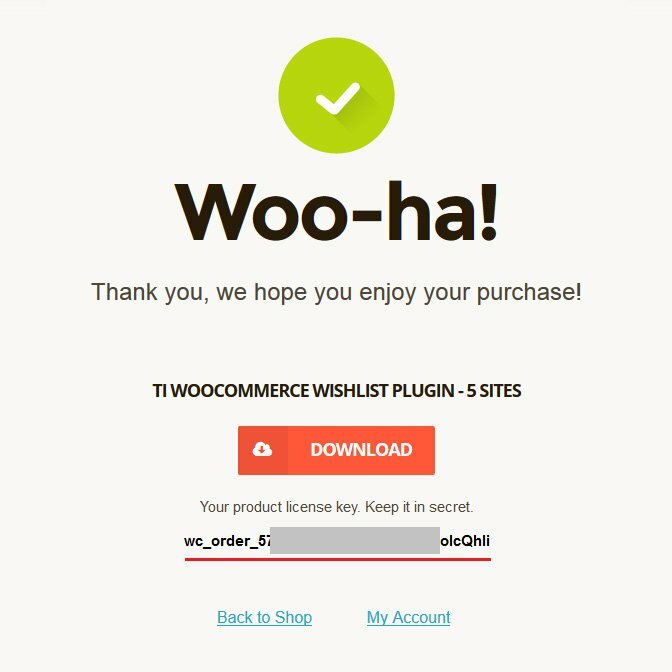 Choose the product license depending on your needs (for 1, 5 or up to 30 sites) and click Purchase. 2. The product will be added to cart. Click “View” button in success message or “cart” link in the top line. 3. When you get to shopping cart don’t forget to get a discount if you have purchased any of our other products. You can learn more about discounts by this link Discounts. To get a discount, add you purchase code in coupon field (1), click apply the coupon (1) and update cart (2). 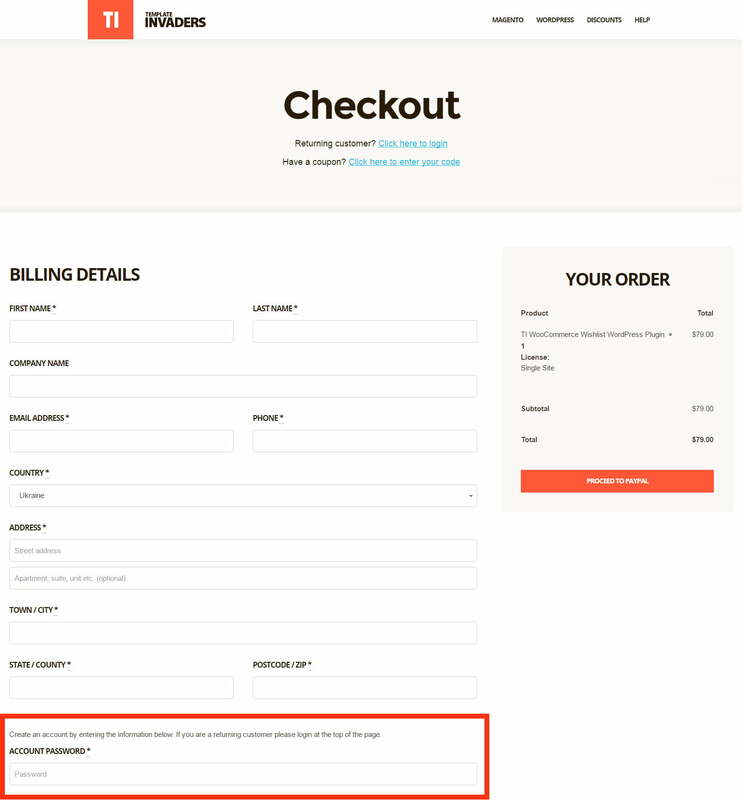 Then click “Proceed to checkout” (3) button. 4. 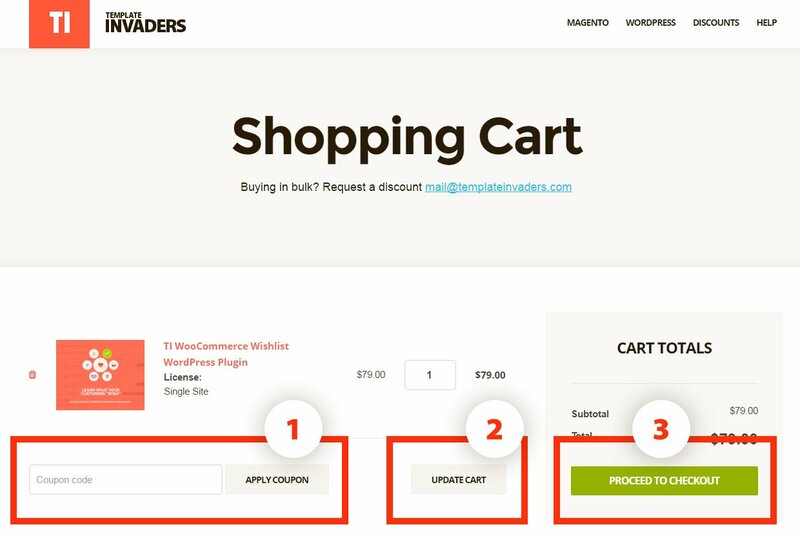 When you get to checkout page you can also apply the coupon code, if you skipped this step on the cart page and log in, if you already have the account on template invaders website. 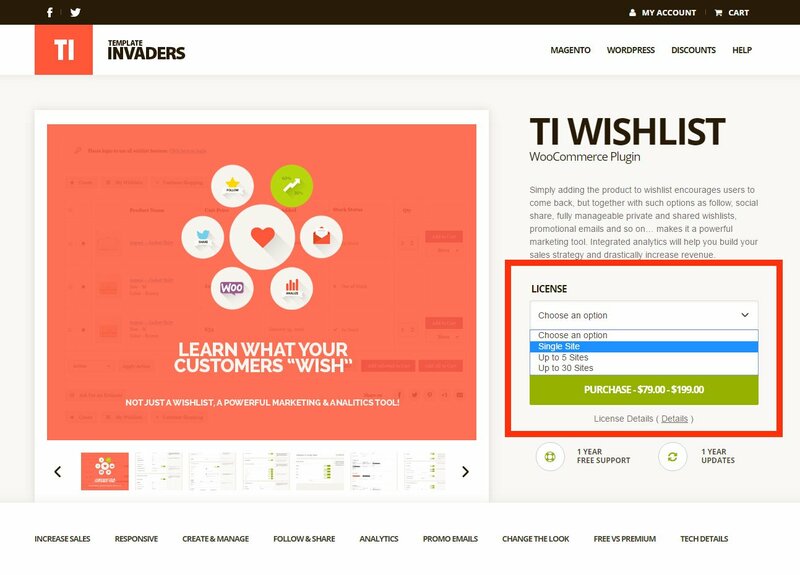 Please note that you can register on template invaders website only from the checkout page. An account will be created once you complete the purchase. You will need to create a password for your new account on template invaders (see image below). Your email will be used as your login name. 5. Add all required information and click “proceed to paypal”. 6. 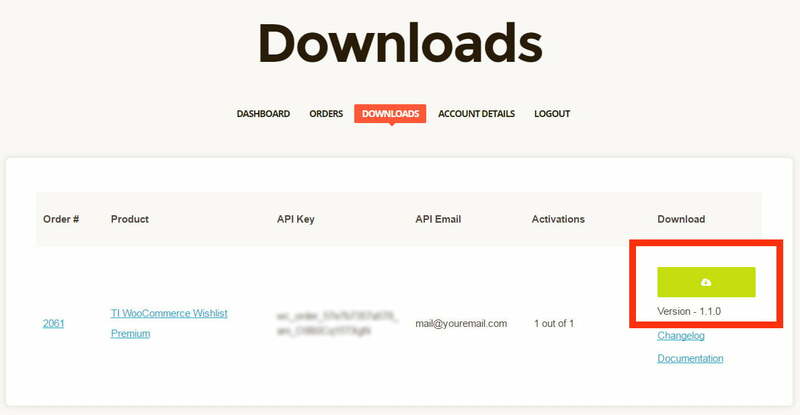 As soon as your purchase is complete you’ll be redirected to the thank you page, where you can download the product and save your API license key. 8. 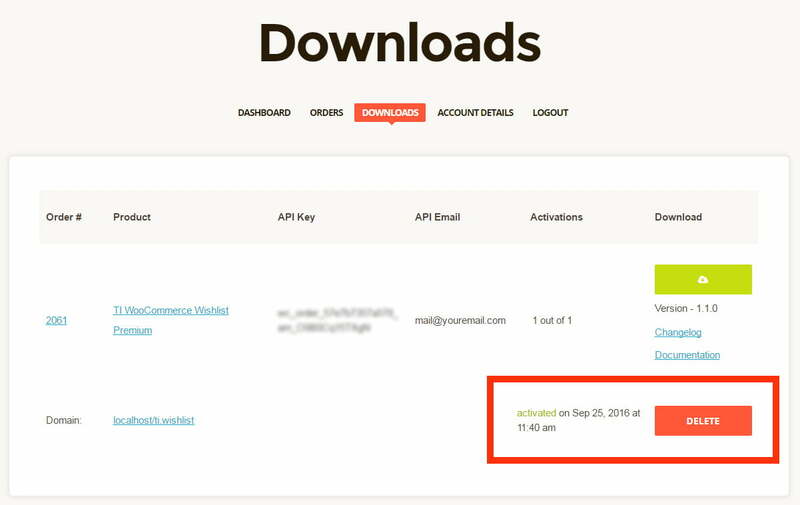 In downloads section, you can download product files(green button in the right column) and manage your product licenses. When you activate your product one license activation will be deducted. 9. 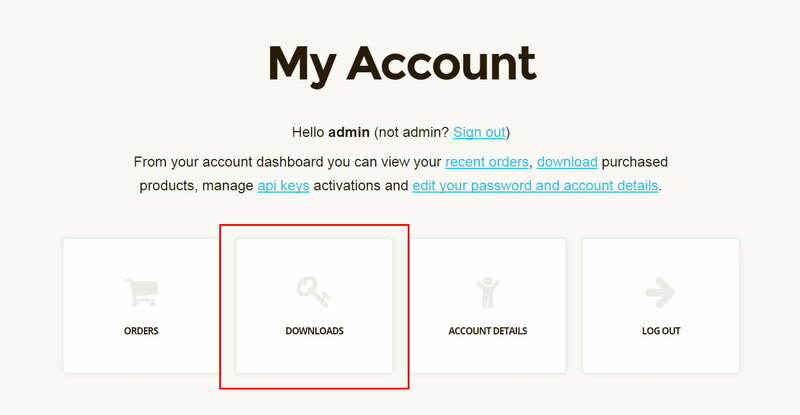 You can delete license activation if you wish to move your store to another domain or simply use our product on another site. When you click delete license, your license activations number will be increased, so you can activate it on another website. So the activation number means you can have only one (depends on license) active product at a time, but can change the sites where the product is installed.